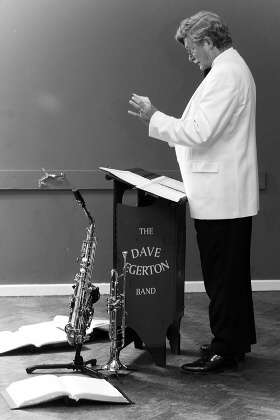 Railway Club Altrincham | Dave Egerton Band. 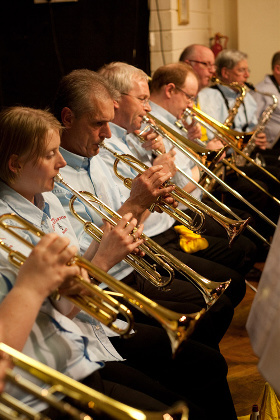 The Dave Egerton Band (official name – The Altrincham Concert Band) was formed in 1982 by Dave Egerton himself. 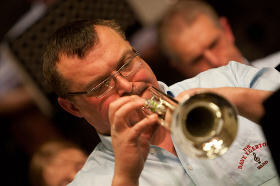 Sadly Dave has since passed away, but the band is still going strong, practicising and performing in the Altrincham/Cheshire area under Musical Directorship of Tim Ashcroft with Graham Truffet as band Chairman. 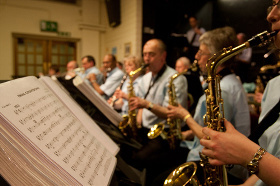 An amateur Big Band playing to a high standard, we enjoy playing many genres including a lot of jazz standards from the 1920s through to the 1960s, blues & soul numbers right through to arrangements of todays hits. Having a good practice space is key to any band, and we find the LMRCA club very fitting and welcoming in that respect. 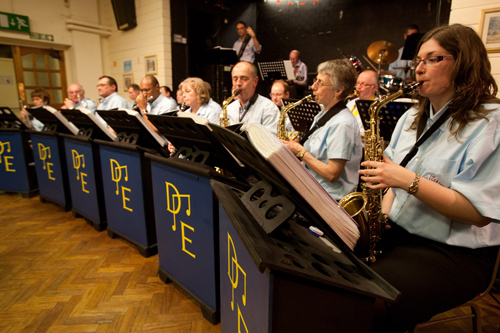 We also enjoy putting on well attended gigs at the club, using their stage facilities. 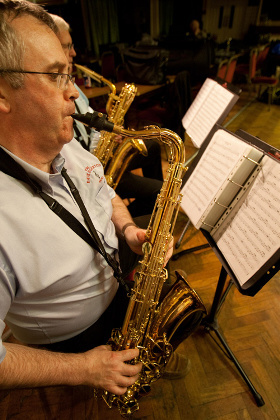 We have been residents for 6 years, all our band members are also full members of the club and we look forward to many more years of a very successful partnership with the LMRCA. 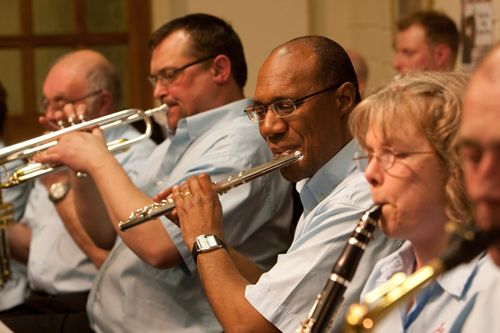 As well as the concerts the band plays locally, we are available for private functions and events through the contact details on our website. Sample playlists are also on there as well as our gig calendar.